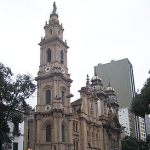 The dark crust on the surface of the Nossa Senhora do Carmo church, in the centre of Rio de Janeiro, was shown to contain high salt levels and neogypsum above the original granite. (…). Next generation DNA sequencing techniques were used for the first time to determine the total microbial populations that could be involved in surface deterioration of historic stone buildings in a tropical climate. High levels of halophilic and stress-resistant bacteria and fungi were identified, able to grow at high temperatures, salt and UV levels, and in the presence of low moisture and toxic fossil fuel emissions. Many produced pigments, adding to the discoloration of the stone surface. (…) Salt content appeared to be a major driving factor in community structure. This microbial population participated strongly in crust, formation. The final results of biofilm formation on the stone are surface discoloration, induration and degradation of the façade. Wastewater treatment plants (WWTPs) are one of the main sources of pharmaceutical residue in surface water. 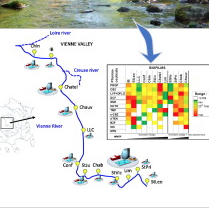 Epilithic biofilms were collected downstream from 12 WWTPs of various types and capacities to study the impacts of their discharge through the changes in biofilm composition (compared to a corresponding upstream biofilm) in terms of pharmaceutical concentrations and bacterial community modifications (microbial diversity and resistance integrons). The biofilm is a promising indicator to evaluate the impacts of WWTPs on the surrounding aquatic environment. Indeed, the use of biofilms reveals contamination hot spots. All of the downstream biofilms present significant concentrations (up to 965 ng/g) of five to 11 pharmaceuticals (among the 12 analysed). 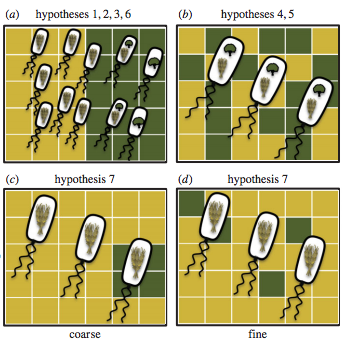 Moreover, the exposition to the discharge point increases the presence of resistance integrons (three to 31 fold for Class 1) and modifies the diversity of the bacterial communities (for example cyanobacteria). The present study confirms that the discharge from WWTPs has an impact on the aquatic environment. 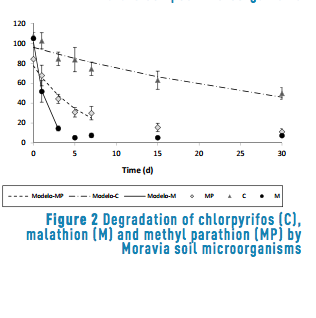 microbial consortia when malathion, methyl parathion and chlorpyrifos were degraded. 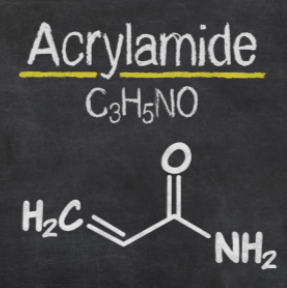 Although acrylamide finds diverse industrial applications, its presence in the environment is hazardous due to its carcinogenic, neurotoxic, and teratogenic properties. 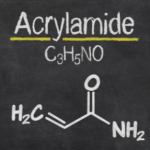 In spite of the general toxicity of acrylamide in the monomer form, some microorganisms are able to use it as a source of energy by catabolizing it to ammonia and acrylic acid by means of acrylamidase (EC 3.5.1.4). 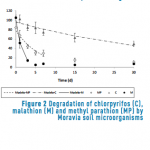 The present work reports on a novel soil isolate as an acrylamide-degrading bacteria. Based on biochemical characterization and 16S ribosomal RNA (rRNA) gene sequence, the bacterial strain was identified as Gram-positive Arthrobacter sp. DBV1. (…) These finding suggests that the strain could be attractive for biodegradation of acrylamide from the environment and also possibly from foods containing preformed acrylamide. Bioleaching of copper from pure granular shots and from a “pre-consumer” secondary resource from automotive industry (Brake Pads Powder, “BPP”) was carried out in a comparative study with conventional planktonic and PVA-encapsulated micro-organisms using a mixed culture of iron oxidizing bacteria: A. ferrooxidans, L. ferrooxidans and L. ferriphilum. 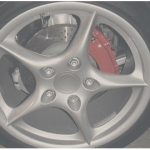 The global process is characterized as “sequential” since a preliminary acid leaching is performed for ferrous iron extraction from the BPP material before the copper bioleaching itself. (…) Cell immobilization offers complementary benefits as continuous process and permanent bacteria acclimation. 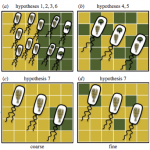 This technology presents an interesting alternative to conventional planktonic and “two-step” processes.